The United States Air Force has safety and security protocols for people visiting Melrose Air Force Range where it trains airmen and soldiers in integrated combat scenarios and electronic combat. When someone enters the range, they must be checked in and receive eye protection, electronic trackers and a safety briefing. The Air Force required a check-in facility large enough to handle large groups, computers and staff. 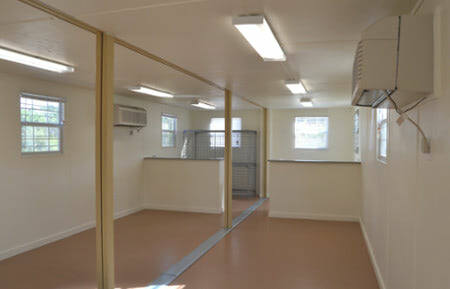 The facility also had to be mobile to facilitate a future change in the gated entry point. 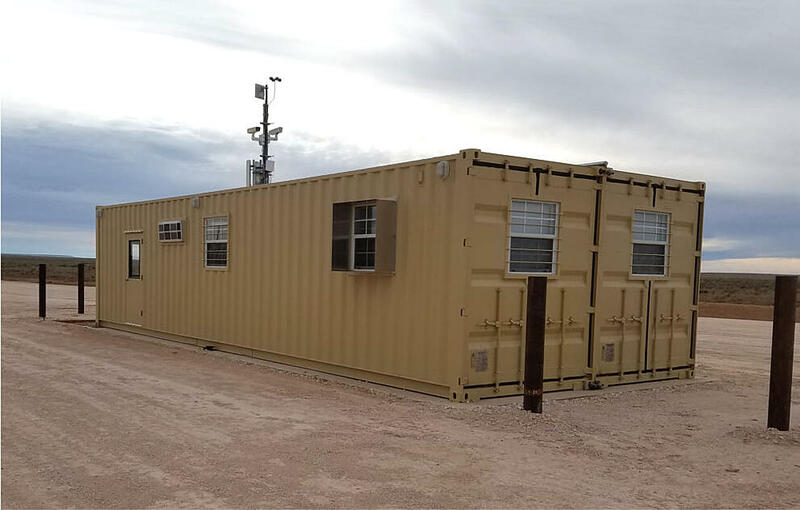 With a combined square-footage of 640 square-feet, two 40-foot shipping containers placed side by side is the perfect size for two check-in desks, gear storage, and a briefing-waiting area. To create the large open space, we removed a side wall from each of two 40-foot containers. When pushed together, the containers create a clear-span area supported by columns in the center of the room. The open space also allowed for required mechanical and communications rooms inside the structure. Within a day of placement, the containers can be pushed together, sealed, and connected to power. If the Air Force needs to relocate the building, it can pull the containers apart, load them on flat bed trucks, and drive them to the new site where they’ll be rejoined. The built-in desks come along for the ride with the container modules, saving the Air Force the hassle of unloading and reloading furniture. The Melrose Air Force Range is located in the high plains of New Mexico, and thus experiences frequent, gusty weather. The built-in foyer area creates a buffer zone between the work space and the noise and dust from outside, so personnel can work in quiet. 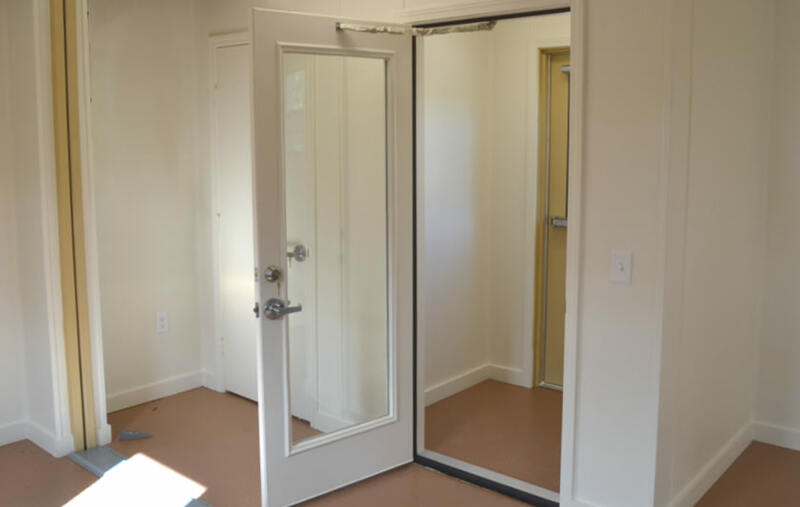 Have questions about double-wide offices? Contact us at 877-704-0177 or sales@falconstructures.com.